A cost of fuel is increasing day by day. It may due to increase in the price of crude oil or depreciating rupee value. Whatever be the case, one thing is sure that increasing fuel cost makes a direct impact on the household budget. We cannot do much about increase in fuel price, but we can think of using best fuel credit cards to reduce the impact of rise in fuel price. There are several credit cards available in the market that are specially designed to offer multiple benefits on fuel including discount, cashback, and surcharge waiver. You can make use of fuel credit card and bring down the cost of fuel expense from the household budget. 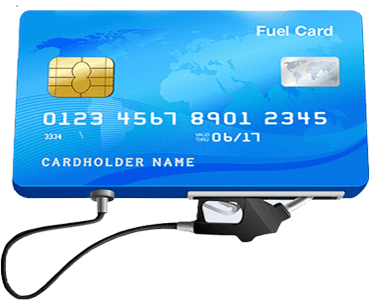 Before taking an actual look at best fuel credit cards in India, let’s take a look at factors to consider before selecting a credit card for fuel purchase. Saving of Fuel Bill – The first thing you should consider is how much money you can save by making use of fuel credit card. In order to know you should be aware of fuel spend and benefits offered by the card. Participating Petrol Pumps – The second factor to consider before you opt for fuel credit card is checking a list of participating petrol pumps. The card should be accepted at most petrol pumps or the ones you are more frequent. Fuel Surcharge Waiver – You should also check that if a credit card is giving facility of full fuel surcharge waiver or it offers the partial benefit of surcharge waiver. Annual Fees of Credit Card – Another important factor for the consideration is annual fees of a credit card. Most of the credit card offers annual fees waiver on the spend of a certain amount. Your yearly fuel spends should be higher than a specified amount to avail annual fee waiver. Additional Features – You also need to check various additional features available on the card. You should match this features with your requirement and select the best card. Reward Point Redemption process – You need to know the process of redemption of reward points. The process should be hassle-free. Now, let’s take a look at 5 Best Fuel Credit Cards in India. Here are Top 5 Best Credit Cards for Fuel in India. Earn 5% cashback on fuel spends up to maximum Rs.200 per month. Get 1 reward point for every Rs.150 spend. Earn 5% cashback on utility bills and telephone bills. 20% cashback on Uber rides up to maximum Rs.600 per month. Standard Chartered Super Value Titanium Card provides very good cashback on fuel. Apart from that this card also provide benefit of cashback. 5% saving on fuel with 2.5% cashback and 1% surcharge waiver at HPCL petrol pumps. 5% cashback benefit is applicable up to Rs.100 per month. 100 discount up to 2 movie ticket per month. 6 Payback points on fuel spend at HPCL pumps and 2 Payback points at all other retail spends. Get fuel worth Rs.500 on redemption of 2000 payback points. Save up to 15% at over 800 restaurants. One drawback of this card is all major benefits are applicable at HPCL petrol pump only. So, you need to compulsory purchase petrol from HPCL pump to use this card. 4 Turbo Points for every Rs. 150 spent on fuel purchases. 2 Turbo Points on Rs. 150 spent at supermarkets and groceries. 1 Turbo Points for others. Fuel surcharge waiver at any Indian Oil petrol pump. 15% discount on dining personal concierge services. Get up to 71 litre of petrol on turbo points. Easy redemption of rewards with multiple option. The benefits applicable for this card is limited for Indian Oil outlets only. HDFC Bharat Cashback is one of the best credit card for fuel. However, this card does not offer any reward points. 5% cashback benefits is also capped at Rs.150 per month. 25% + 1% Fuel surcharge waiver on every transaction up to Rs.4000 at BPCL petrol pumps. Maximum surcharge waiver of Rs.100 in a month. A drawback of this card is fuel related benefits are applicable for BPCL petrol pumps only. Who should opt for Fuel Credit Cards? The primary purpose of fuel credit card is to cut down fuel bill, this means these cards are best suited for individuals who spend heavily on the petrol and diesel. If you commute long distance on daily basis either for office or for business purpose fuel card is for you. However, please note that credit card requirement for every individual is different. You should select a card which is best suitable for you based on your requirement.